There’s no place like Key West, and to call this area home is a wonderful thing with all that the Florida Keys has to offer. If you’re searching for a new home, planning a move soon, or are simply curious about the distinctive homes you can find here, you won’t want to miss the next Key West Homes Tour, coming up the weekend of February 15th. For those with an eye for landscaping inspiration, be sure to add in a “Really Groovy” Garden Walk to your weekend plans. Every year, the Old Island Restoration Foundation presents different home tours highlighting some of the finest Key West private properties. Your next chance to get a sneak peek at 5 residences is coming up February 15th and 16th. New this season is the addition of a historic hotel on the upcoming tour weekend. When you stop by, free tasty bites and drinks will be on hand-the perfect way to end an afternoon of exploring homes. 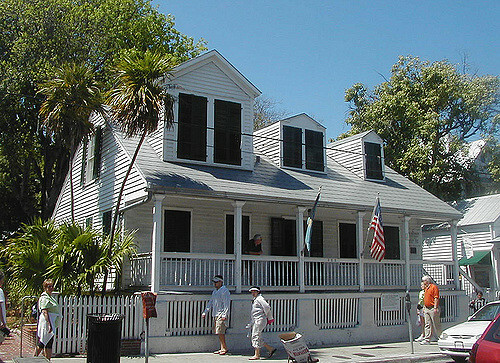 This year marks the 59th season of home tours, put on as a fundraiser to help keep Old Key West architecture in fine form. Not only will you find inspiration for home remodeling projects, you’ll also discover a wide range of art collections and crafts on display at each home. The Key West Home Tours have become a well-loved tradition, born out the desire to care for our historic properties and to do so through an intimate community connection. What better way to find inspiration for your own home? In addition to the incredible homes you can tour in February, you can also enjoy what’s slated to be a Groovy Garden Walk through several private Key West gardens, presented by the Garden Club of the Upper Keys. 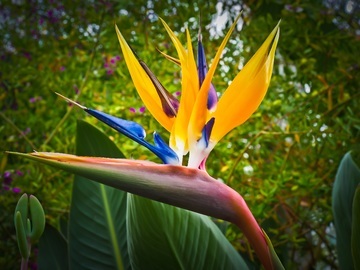 This year’s theme is all about the bright and far-out 60’s colors, many of which can be found in the gardens of the Florida Keys. Whether you have a green thumb or not, or just want some inspiration, the Groovy Garden Walk is the perfect way to get in touch with the gardening side of landscaping. In addition to the amazing gardens, once done with your walk, you’ll want to head over to the Francis Tracy Garden Center for a stroll through the incredible grounds which will also have local vendors and the ever-popular tea party that will be held along with a far-out art show. If this is the year for some new landscaping projects, you won’t want to miss the inspiration that awaits with the Groovy Garden Walk. Enjoy the Key West Home Tour and Groovy Garden Walk for a weekend of inspiration for your Florida Keys home and garden. If you’re ready to experience year-round Keys living, or it’s time to sell, you can rely on my team and myself to help you every step of the way. Our experience is here to be put to work for you. Please contact me, Jimmy Lane, for all of your real estate needs.